This is the safe and correct call. If you are diagnosed with melanoma, you need to focus on getting back to health. I suggest you stop taking the drug and schedule an immediate appointment with your dermatologist. In fact, I would say that even without a diagnosis of any skin cancer, you should ask your doctor (or a second doctor) if you should stop taking Viagra (or Cialis or Levitra). If a doctor you trust reviews your patient history and encourages you to remain on Viagra, fine. See your dermatologist or personal physician immediately. This is the most important thing to do if you are diagnosed with melanoma. Melanoma is the most serious of the skin cancers, and can certainly cause death is untreated or if treatment is delayed. Your health comes first. So move briskly to have the cancer removed. And of course stay out of the sun until you speak at length with your doctor. 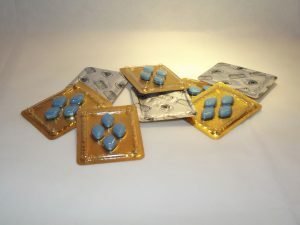 The starting point should be the post I wrote recently about the latest study identifying a possible connection between the use of Viagra (and Cialis and Levitra) and the onset of melanoma. This study is peer-reviewed and appears scientifically reliable. From my site you can click through to the study itself, or here. Read it carefully. Discuss the study’s findings with your dermatologist. In fact, discuss the findings with as many medical professionals as you have access to. After reviewing the recent Sildenafil Study, do some additional research on the Internet. Many websites are well-researched, well-meaning, and helpful. But not all of them. I can’t stress this enough: The Internet is a freaky place. I once saw a funny cartoon depicting a doctor handing a prescription to a patient with the caption, “take two of these before you Google your symptoms.” Indeed, within a matter of minutes on the Internet you can be reading about the worst possible outcomes from taking a medication. Also, most people understand this but there is no requirement for truth on the Internet. People can write anything. (Of course, this rule applies to this website and to me too.) If something sounds unbelievable on a website, it is likely false. So again, be cautious and skeptical when conducting research on the Internet. The goal is to find reliable, helpful information, not the most sensational or terrifying. If you’ve read my posts in the past, you know I’m a big advocate of keeping detailed notes on your physical condition after any injury, whether that involves pain from a faulty artificial hip or strange symptoms after taking testosterone. In this case, write down when you first discovered the melanoma on your skin, what pain you may be experiencing (if any), what your doctor tells you about your treatment, what medical care you’ve received, etc. If the information is related in any way to your skin cancer, write it down. This journal will assist you in getting back to health, and it may also assist your attorney with a possible court case down the road. A melanoma journal (for lack of a better name) can provide extremely valuable information to an attorney putting together the best case for you in the event you have a viable claim against a pharmaceutical company for a harmful drug like Viagra. Keep accurate records of all bills incurred and any out-of-pocket expenses you are paying for your medical care related to the melanoma, including surgeries, chemotherapy and radiation treatments, recovery, rehabilitation, medications, etc. In some cases, pharmaceutical companies will pay the out-of-pocket expenses of a victim of a failed drug like Viagra. 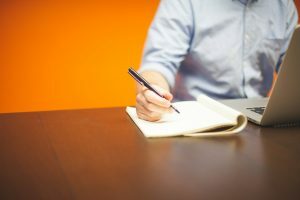 In addition, keep detailed records of all time missed from your employment, including sick days which you were forced to use, and days out of work for which you lost compensation. Let me say this: the scientific study linking melanoma to the use of erectile dysfunction drugs like Viagra, Cialis, and Levitra is in the early stages. Studies so far show an increased risk of developing melanoma among men who use these drugs, but we still need to look more closely at the connection. That said, a multi-district litigation site has already been established for the dozens of lawsuits filed against Pfizer, the manufacturer of Viagra, and I suspect we will shortly see MDLs against the makers of Cialis and Levitra, as those drugs work in the body in similar ways to Viagra. For more information on choosing the right product liability lawyer, you can check out my posts here and here and here. You can also simply call me for more information: 919-546.8788. Note: I am no doctor. As a product liability attorney, of course I can’t diagnose your health issues and cannot connect any injury you may have suffered to Viagra or to any other drug. Please see your doctor immediately if you suffer any negative health issue (related to the use of Viagra or not). That said, the general recommendations in this post are common-sense and reasonable, and consistent with the research I have done on this class of drugs.